Mathematics can tell us things about the world that can't be learned in any other way. This hugely informative and wonderfully entertaining little book answers one hundred essential questions about existence. It unravels the knotty questions, clarifies the conundrums, and sheds light into dark corners. 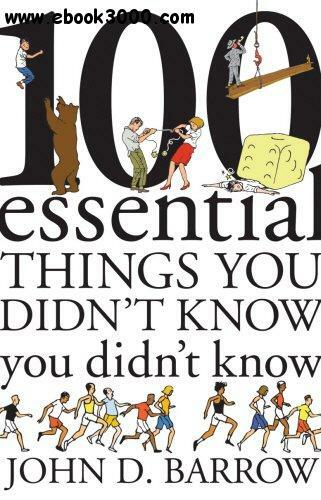 From winning the lottery, placing bets at the races and escaping from bears, to sports, Shakespeare, Google, game theory, drunks, divorce settlements and dodgy accounting; from chaos to infinity and everything in between, One Hundred Essential Questions of Existence Answered! has all the answers!